You’ve been considering a change for some time. The house seems to be lacking something… specific and you can’t point your finger to it. Finally, it comes to you, the flooring is not looking it’s most dapper these days. In fact, due to the mud tracks from the kids and animals, the high heel scrapes from your favorite pair of spikes, and the several stains from your husband’s ‘food experiments’, the floor has seen better days. After planning your budget and determining the future of your flooring, you’ve decided you’re getting new hardwood floors throughout the house and you couldn’t be more excited to add a more classic twist to your home. At least… you think you’ve decided on hardwood flooring. You know that 2 Day Flooring also carries laminate which may be more conducive, luxury vinyl which sounds a little adventurous, and tile which may add a cool factor to your home. Although, hardwood flooring seems to be on the forefront of your mind. 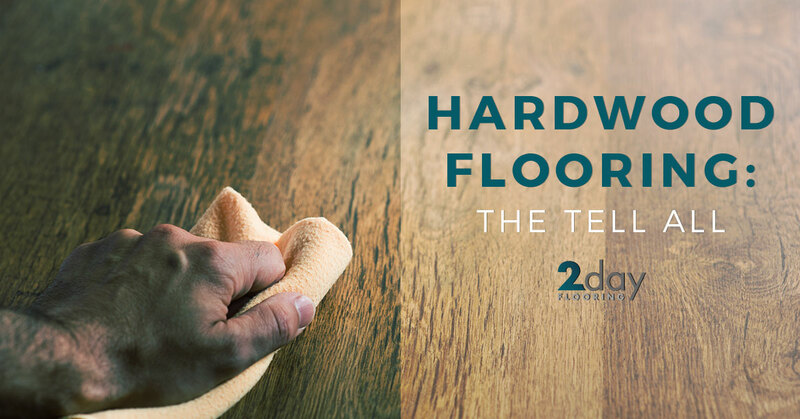 Here is exactly what you need to know when it comes to hardwood flooring and how to make that difficult decision with what flooring you want to choose. Remember, once you’ve made the decision about if hardwood flooring is right for you, you also have to decide on the smaller picture of hardwood flooring. For instance, what species of tree would you like to use? Do you have a specific design in mind? Do you want softwood or hardwood? If your head is spinning with these questions, then gather up a pen and paper and get ready to take notes on the intricacies of hardwood flooring. Did you know there was softwood to pick from as well as hardwood? We know that to most it’s a shocker, especially if it’s your first flooring renovation. Softwood isn’t a gentler version of hardwood. 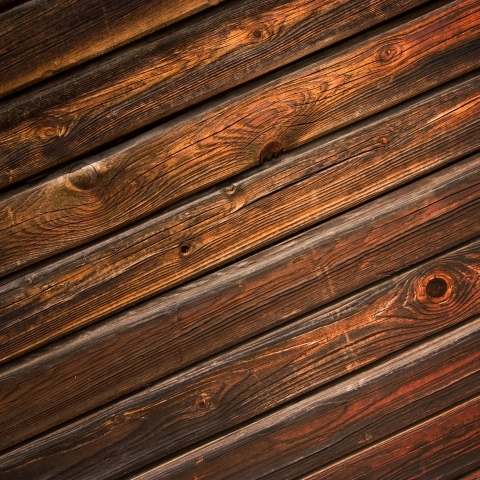 In fact, softwood is actually flooring that is made from a selection of trees such as fir, cedar, and pine. These three types of wood are more readily available in comparison to other species of tree, even though when you walk out your door in the morning and all you see are palm trees. They grow quickly and the wood doesn’t become very dense nor durable, which is why it’s considered a softer wood for flooring. What you need to know about softwood is that it’s more difficult than hardwood to refinish, and it dents and scratchers easier than other wood flooring options. However, softwood flooring has a certain pizzazz that draws people in because of the classic beauty and the characteristics of the material. Additionally, it’s more eco-friendly and renewable, so if you’re conscientious of saving the earth, then you don’t have to worry with softwood. On the other hand, hardwood flooring is denser and more durable in comparison to softwood. There is less maintenance and your flooring even lasts longer because of the sturdiness of the trees. The National Oak Flooring Manufacturers Association tests each tree specie to figure out the sturdiness on the Wood Hardness Rating scale, so you know the durability of each specie you may be considering for your flooring. Besides softwood and hardwood there are also different variations of species, colors, and designs you can pick for your flooring. You’ve probably been in a few places with absolutely gorgeous flooring and other homes that have flooring that’s not exactly your cup of tea. Below, we broke down the species, colors, and designs available for flooring, so you can figure out the look, atmosphere, and the species of tree you want for your house. The species of trees can make all of the difference in your home. You can have a more exotic option for hardwood flooring or one that’s modern. What’s great about hardwood flooring is that it’s always going to be in style, so no matter what type of species you decide to go with, it’ll always look fantastic and trendy. At 2 Day Flooring, we can offer you a variety of species because of the brands in stock. A more unconventional, eccentric look can be achieved with tigerwood or Brazilian cherry. You can also go more customary with the straight, fine grains of oak, maple, and cedar. Any species you pick will be gorgeous; however, we can help you choose the right type to match the look of your home. The coloring brings the room together. If you go a little more brown, you’ll have a warmer room – fantastic for the winter months. If you go lighter, you’ll have a room that is relaxing and inviting to anyone who comes to your home. Coloring for hardwood flooring consists of the natural color of the species, the stains of the hardwood, the finishes of the hardwood, and whether the wood will get lighter or darker because of age and the exposure to the sun. Additionally, take a toll on the lighting in the room because that will be something to consider when it comes to the look of the finished floor. These are all important color facets to consider when you’re picking hardwood flooring, which is why you should always test out the look of the tone you want in your house before purchasing. The gloss, the width, and the edge detail are all three factors to consider for designs. First, think about what type of hardness you want for your flooring. The hardness scale will determine the durability for the type of flooring you want in your home. Second, the gloss of the hardwood flooring doesn’t have to do with the durability of the floor. The glossiness of the floor has to do with hiding scratches on the floor as they develop over time. Low gloss will hide the scratches better and high gloss doesn’t conceal them as well. Third, the width of the hardwood flooring is the width of the individual board. Do you want a larger board or a smaller board to make up your floor? Choosing the width comes down to the size of the room you’re redoing. Larger rooms are better with wider flooring. Smaller rooms would be better with a reduction of width in the boards. Lastly, the edge of detail is how the ends of the boards are cut. For example, beveled, micro-beveled, eased, and square are all options you can utilize for the cut of your flooring boards. The cuts can be more dramatic or smoother with a seamless appearance. Whatever you decide, the design will be the final way to tie the room together. The best way to make a decision this big may be to go right to the source: 2 Day Flooring, a hardwood flooring specialist flooring company that will give you exactly what you are looking for in your home. Located in Tampa, 2 Day Flooring strives to give you the information that’s necessary for you and your family to decide what type of flooring is practical and how you can make each room in your home glow with some oomph. If you still have questions about hardwood or feel even more confused than before, then don’t hesitate to reach out to 2 Day Flooring with any questions you may have. Stay tuned for our next blog to keep learning about the right flooring option for you!